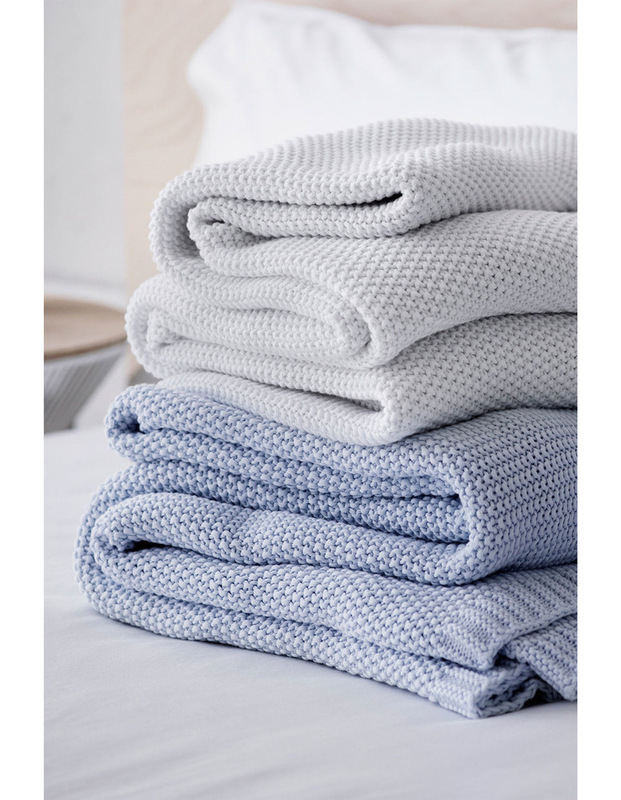 The Deluxe Cotton Blanket is a wonderfully lightweight, contemporary cotton knit blanket. 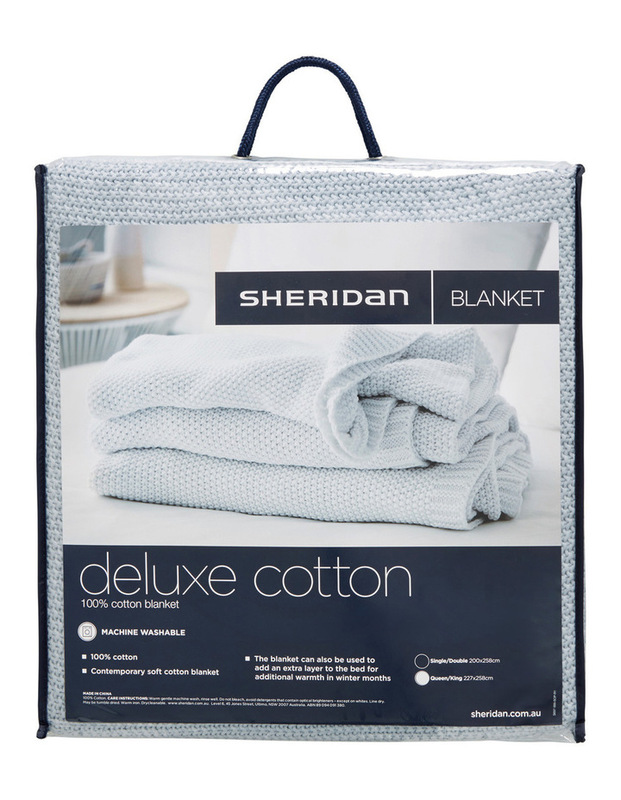 The cotton fibre is naturally soft and breathable. 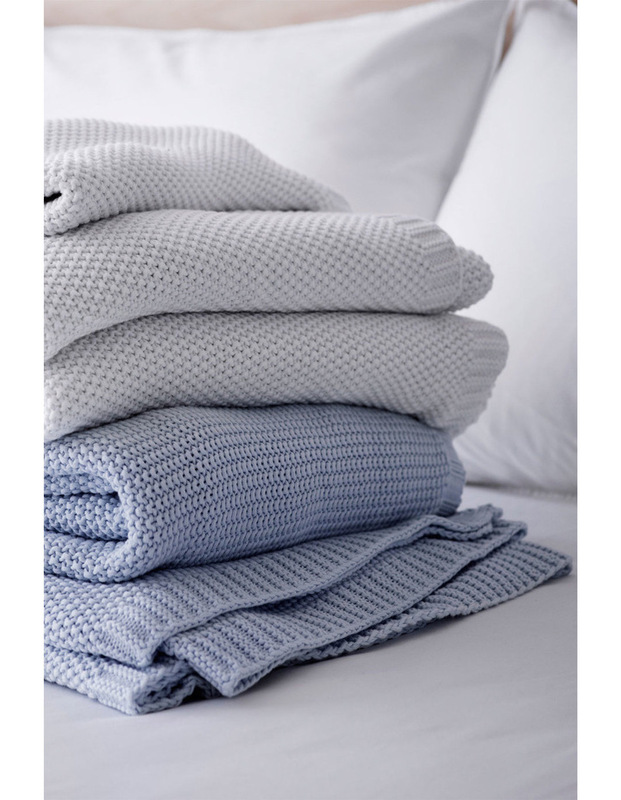 The blanket is a beautiful option to add an extra layer to the bed for additional warmth in the cooler months. Made from 100% cotton.